To show our appreciation for our valued customers, Dreamstyle Remodeling is proud to offer this exciting opportunity. Your dream home makeover may just be a click away. Enter today! Modernize your home with energy-efficient windows or update your home’s façade with an attractive and secure front entry door from Dreamstyle Remodeling. Modernize your home with energy-efficient doors or update your home’s façade with an attractive and secure front entry door from Dreamstyle Remodeling. A beautiful new design can turn your bathroom into the personal oasis you’ve always wanted. Count on Dreamstyle Remodeling’s team to bring your vision to light. Simplify the bathing process with a walk-in tub, perfect for individuals with limited mobility. Our tubs are sleek and functional, and will easily match your design scheme. Dreamstyle Remodeling can update your home by renovating your kitchen, enhancing your outdoor living space, replacing your siding with Dreamstyle Stucco – the options go on and on. Ranked No.1 Full Service Remodeler based on sales by Remodeling Magazine May 2018. Our consultants will work closely with you to ensure your needs and expectations are met every step of the way. We only want the best for our customers, which is why we install top-quality products from the most respected brands. We can handle every step of your project, from design to installation, making us your one-stop shop for home renovations. Dreamstyle Remodeling is proud to offer diverse financing options to qualified customers to make renovating their homes more affordable. 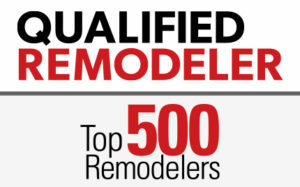 Awarded Top 500 from Qualified Remodeler! Dreamstyle Remodeling is proud to give back to the communities we serve in the Southwestern United States. Dreamstyle Remodeling secured the naming rights of the University of New Mexico’s basketball arena with a historic $10 million donation. We were honored to fill 128 Cheeriodicals gift boxes with fun items for the children at the UNM Children’s Hospital. Our home is beautiful and the quality of work is worth every penny. We recommend Dreamstyle Remodeling to all our family and friends. Looking for an opportunity to grow your career? Dreamstyle Remodeling is growing, and we’re looking for qualified candidates to help us expand our presence in new and existing markets across the Southwest. If you’re ready to join an award-winning team of service-oriented employees working together toward transparent, measurable results, we encourage you to apply today.